I got some good news looking at the site stats today. After a falling out some weeks back, Google and my blog have patched things up and the site is now back up the search rankings again. 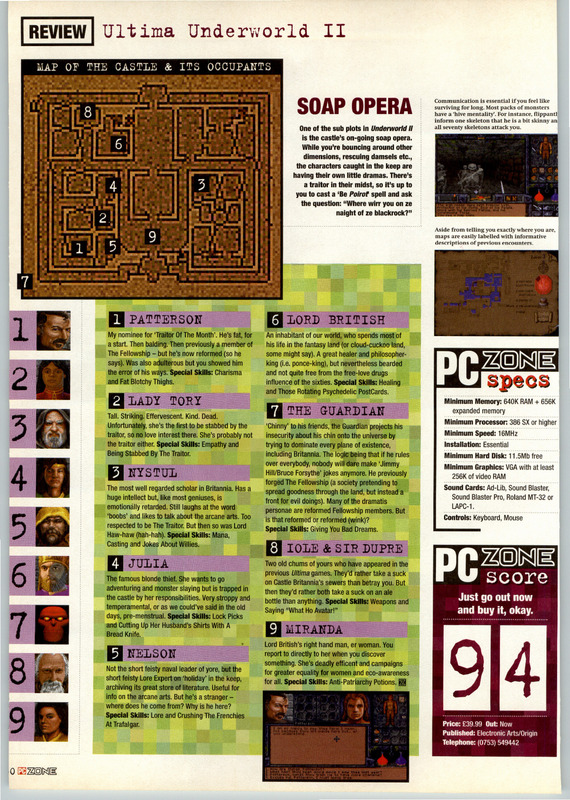 I don’t expect to be top of the lists or anything but until a couple of days back I wasn’t even making the front page on a search for “pixs origin adventures”. Since being given the Google cold shoulder, site traffic had halved and search referrals dropped tenfold and it’s not before time that this got sorted out. 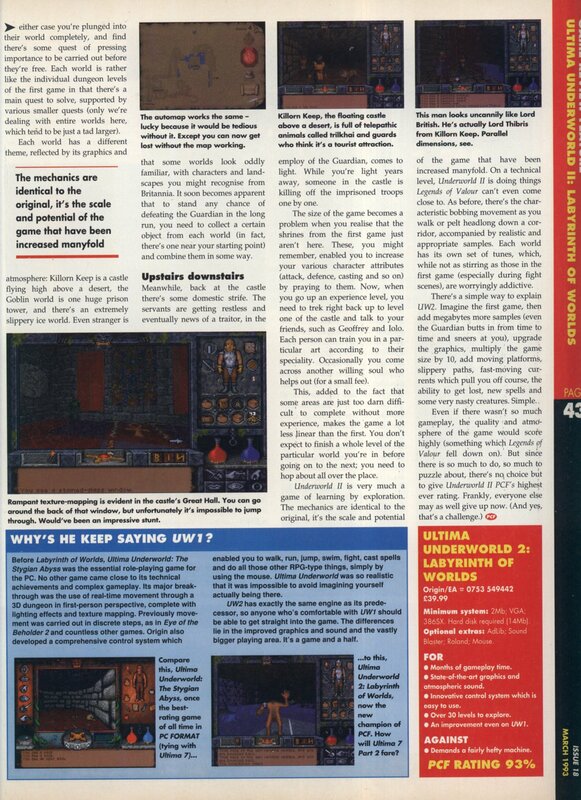 I’m guessing the problem was all the Wing Commander 4 posts for the GOG release being classed as spamming so I’ll know not to do that again. 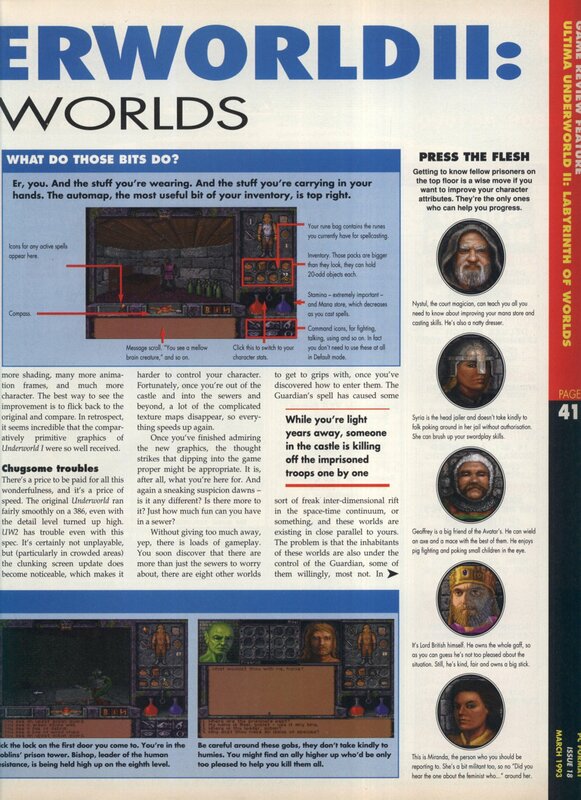 On the subject of GOG, I have to give a quick mention to the Quest For Glory series which was released on there for $9.99 yesterday. 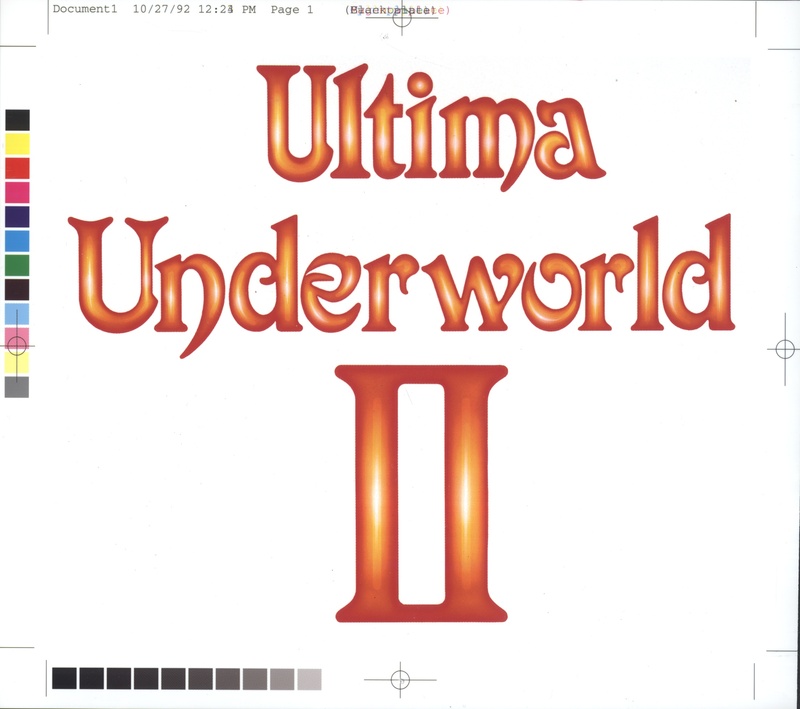 This is one of those series that is still on my list to finish but I love the first two games and they are worth the money on their own. 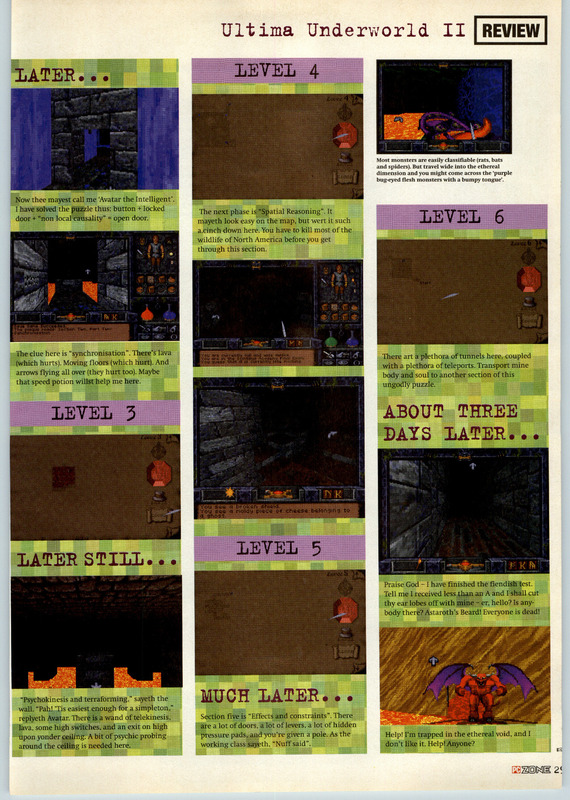 I’m not so keen on QFG3 which has always been the stumbling block when I’ve attempted a play through. 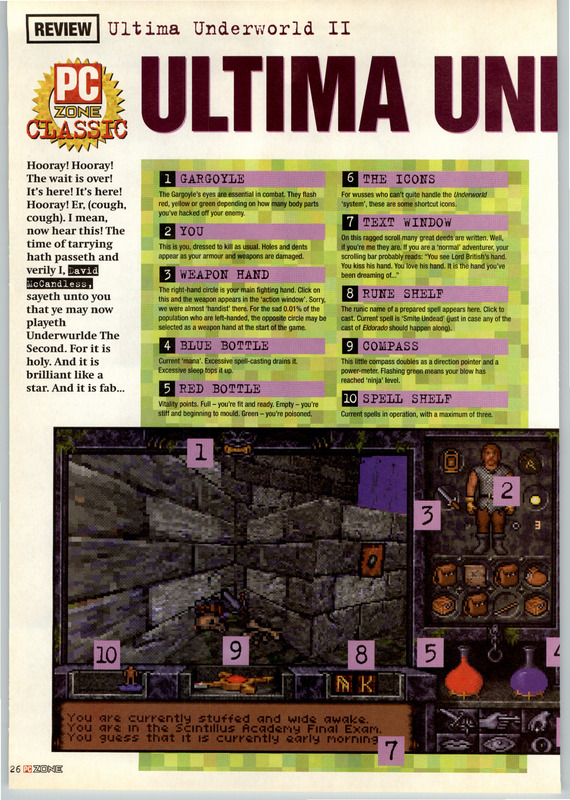 I’ve still not started on any of the Legend games having been sidetracked by Machinarium and Botanicula so maybe now is the time to give QFG another go. 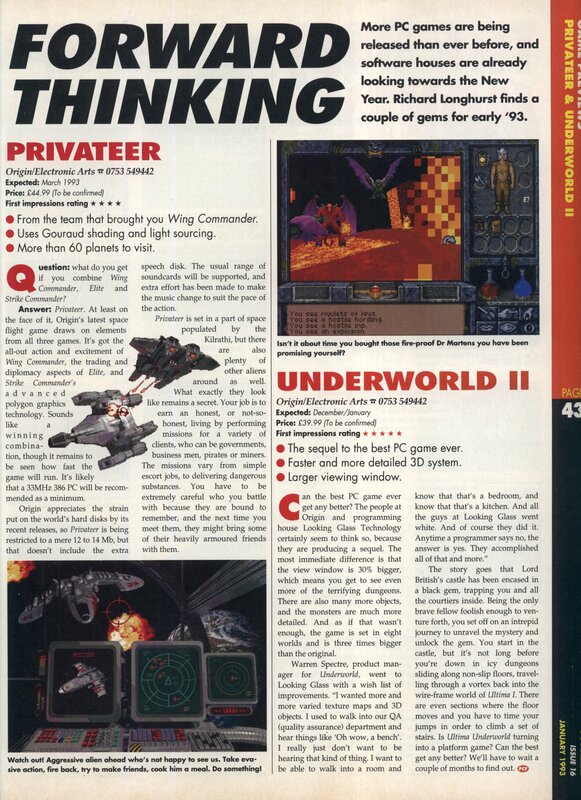 Privateer was originally going to use Strike Commander’s realspace engine and run in SVGA but ultimately reverted to using an updated Wing Commander engine and VGA only, presumably shortly after this preview was written. 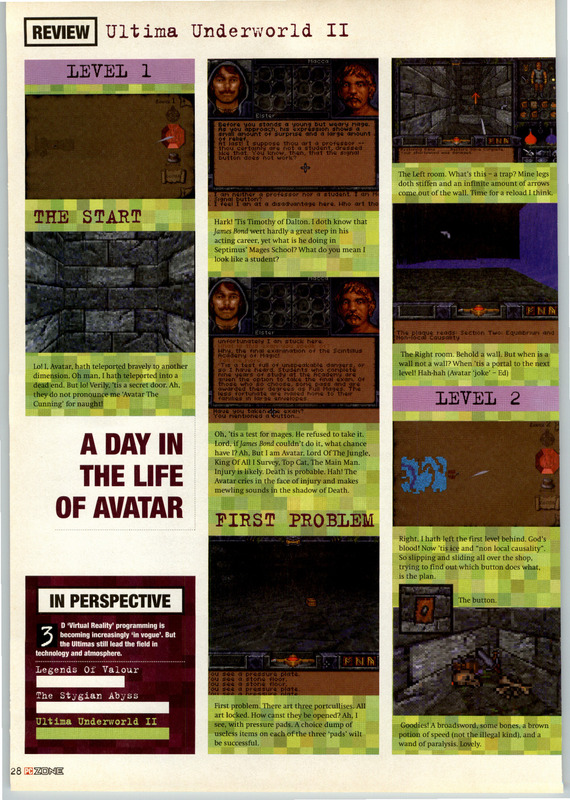 This second set of scans from the March 1993 PC Format are a review of one of my all-time favourites Ultima Underworld 2. 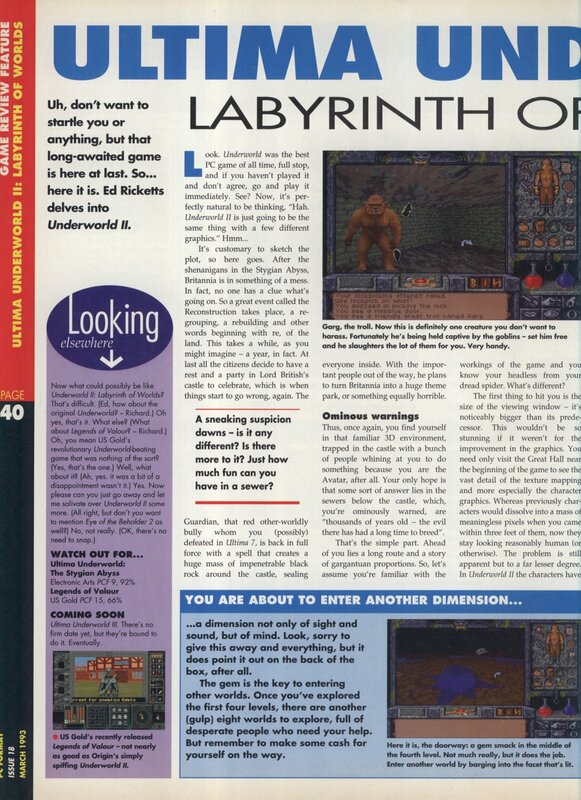 It gets an appropriately glowing reception here getting the magazines highest ever score at the time. 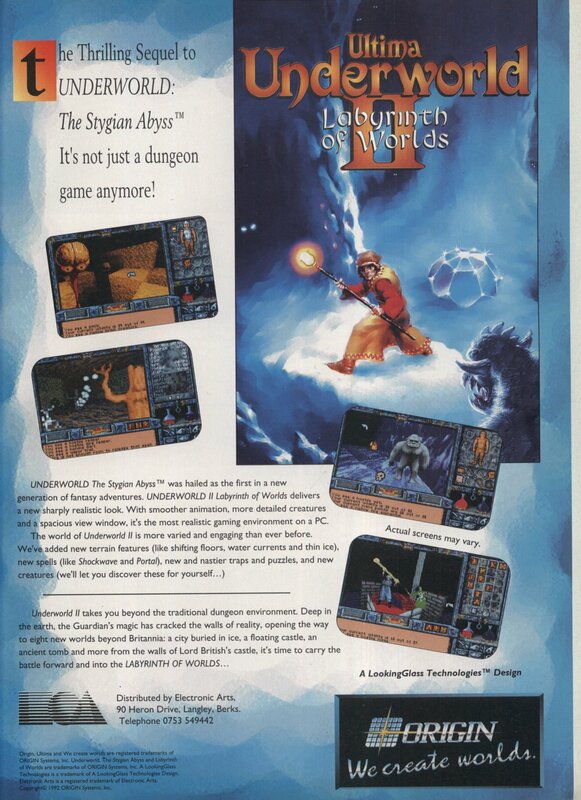 I’ve also included a full-page advert from the same magazine. 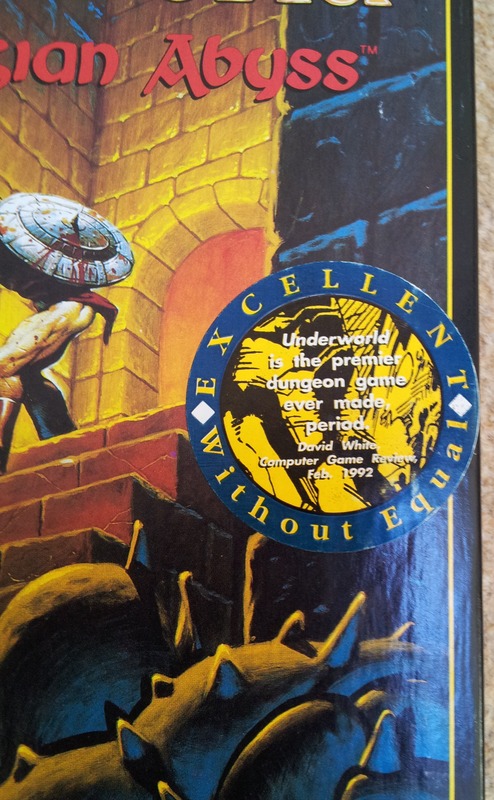 This advert more or less matches the front of the promo sheet listed in the Ultima Collector’s Guide with some minor changes such as a different screenshot, the use of the UK distribution address and the replacement of the Origin logo for EA’s. 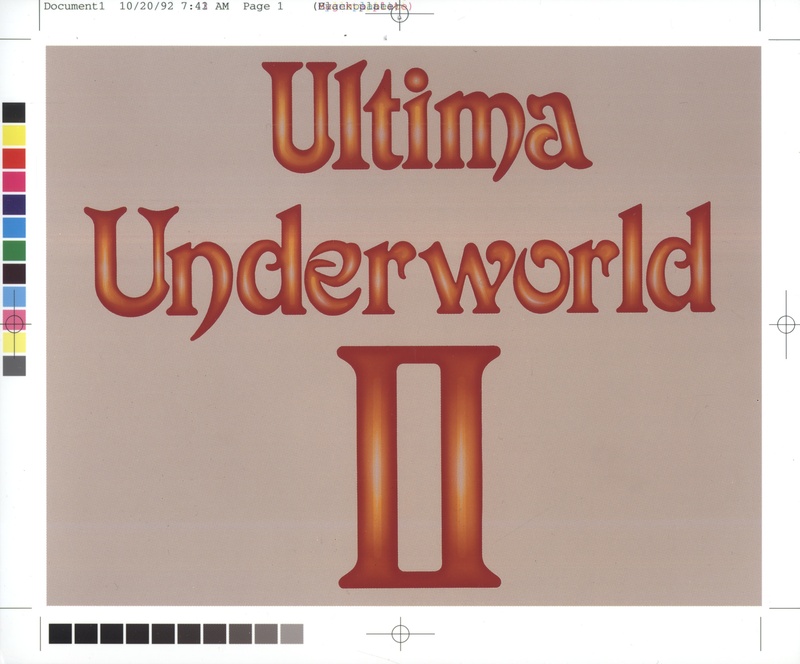 This is a review of Ultima Underworld 2 from Issue 1 of PC Zone (April 1993). 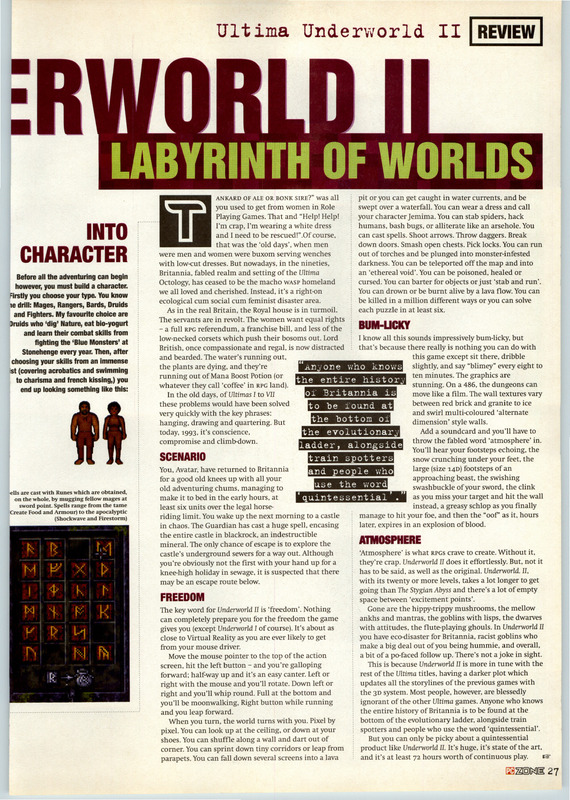 It’s irreverent even by PC Zone standards and includes a playthrough of the Scintilus Academy + a run down on the “soap opera” in Lord British’s castle.